Uganda: commonly nicknamed the “Pearl of Africa,” shines with still virgin and lush stunning greenery, vibrant Wildlife, deep And beautiful lakes with meandering rivers, soaring mountains and perhaps the greatest natural treasure of all- half of the world’s last remaining mountain gorilla population. On a Self drive safari, expertly put together by our car hire and safari consultants, travel deep into the heart of Bwindi Impenetrable National Park and see the incredible, endangered creatures closer than you ever thought you could. 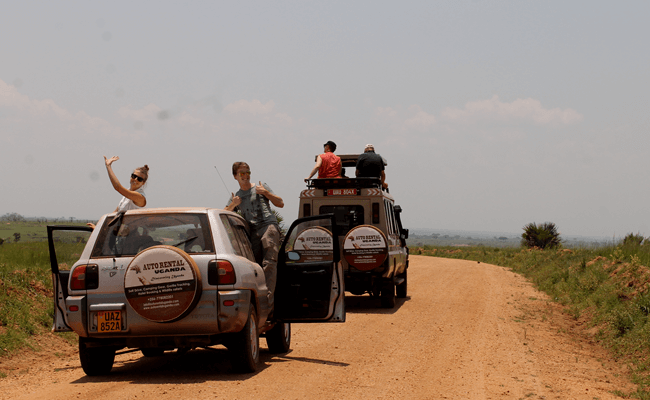 While many car rental agencies may receive you to Uganda, hire you a car for self drive, the Auto Rental Uganda Team is always happy to share more than just the top highlights about the beauty of Uganda and delivers you into gorilla lands with off the track inspirational journeys. Auto Rental Uganda as a local car rental agency Prides itself in catering for independent travelers with Comprehensive Self drive car hire Services in Uganda and be sure this comes with First hand great insider tips for the “Must Do” and what NOT to miss-out” for an inspirational self drive journey in Uganda. Renting a car for self drive safaris is a magical and inspirational way to adventure through these beautiful lands. Hire a car and get behind the wheels driving to your own Adventure. Be sure to get expert insider tips and discounted car rental rates for self drive inspirational journeys. Read more…. 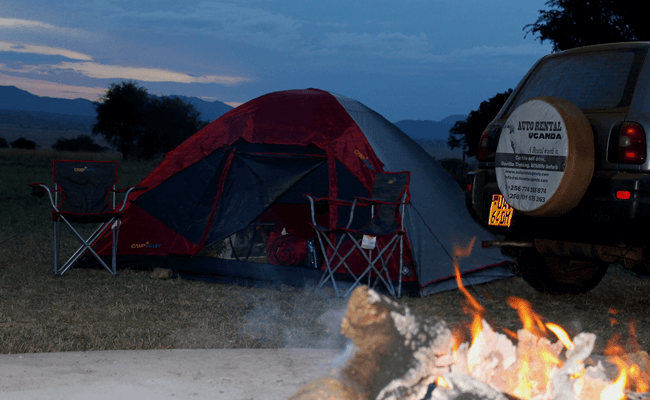 Embark on a Camping trip in Uganda with quality camping gear from Auto Rental Uganda. 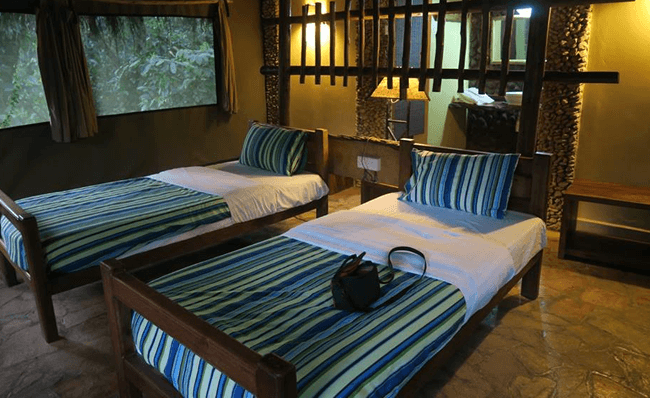 The feeling of slumbering under the stars and to the sounds of the jungle is memorable. Rent a car and camping gear for a self drive safari and be rewarded with a memorable adventure. Read more….. 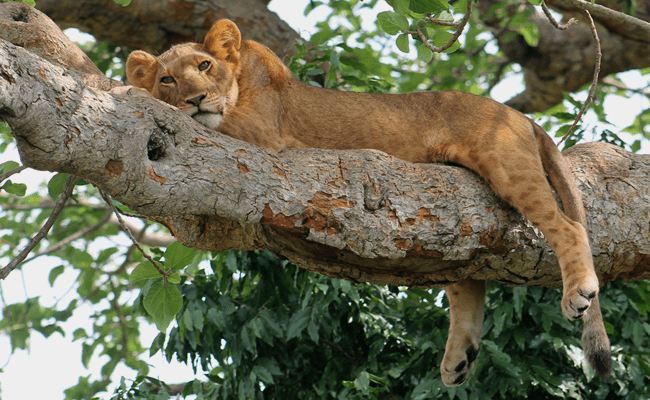 Discover Uganda’s beauty and enhance your self drive and car rental adventure slumbering in some of the best safari lodges expertly chosen by the Auto Rental Team. Treat your self and dine in luxury and historical lodges or still find comfort in Budget safari tents. Here are some of our recommended accommodations that we have personally visited and used by previous clients. Read more…. Find and rent a car for self drive in Uganda, camping gear, GPS at affordable and discounted prices. We pride ourselves in offering unique self drive experiences to independent travelers with special discounts on long term car rental. Take a look at our rates and quotes page and save big on your next car hire in Uganda. Read more….